Actress Jennifer Aniston attends Open Roads World Premiere of "Mother's Day" at TCL Chinese Theatre IMAX on April 13, 2016 in Hollywood, California. 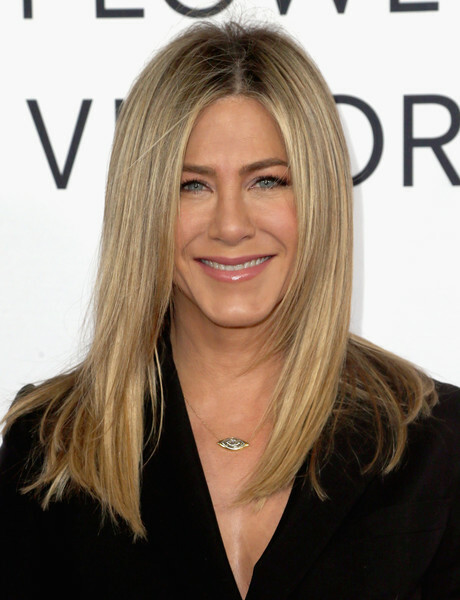 Jennifer Aniston accessorized with a simple gold eye pendant. Jennifer Aniston attended the premiere of 'Mother's Day' sporting her signature face-framing layered cut.